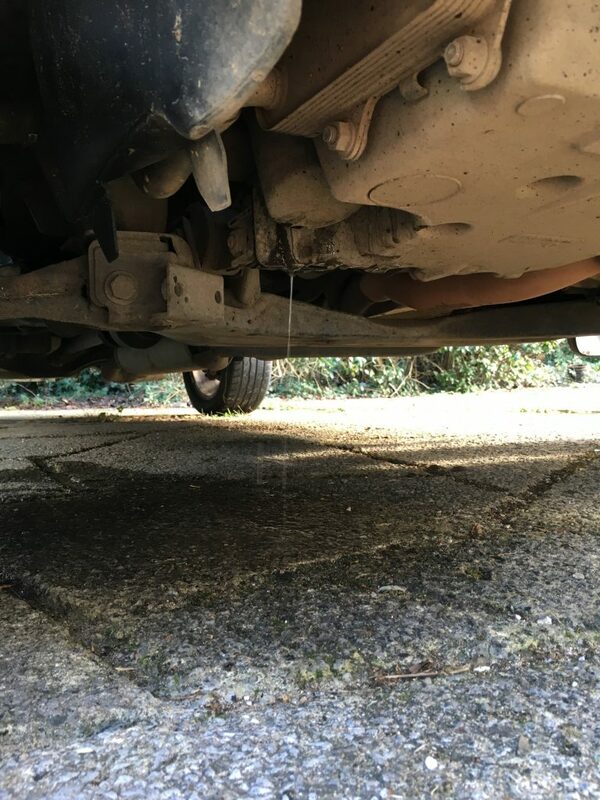 Use our handy guide to identify what type of car leak you have and find out how to repair it with K-Seal. There’s more than one way to identify a car leak. From head gasket failure to problems with your water pump, diagnose your car leaks in 60 seconds with this handy list of symptoms and solutions. White smoke pours out of a car exhaust. This is actually steam condensing as it gets burned off by the engine. You may also see blue smoke, for a different reason. Either way, it’s likely your car is suffering from head gasket failure, and you need to fix the problem, fast. 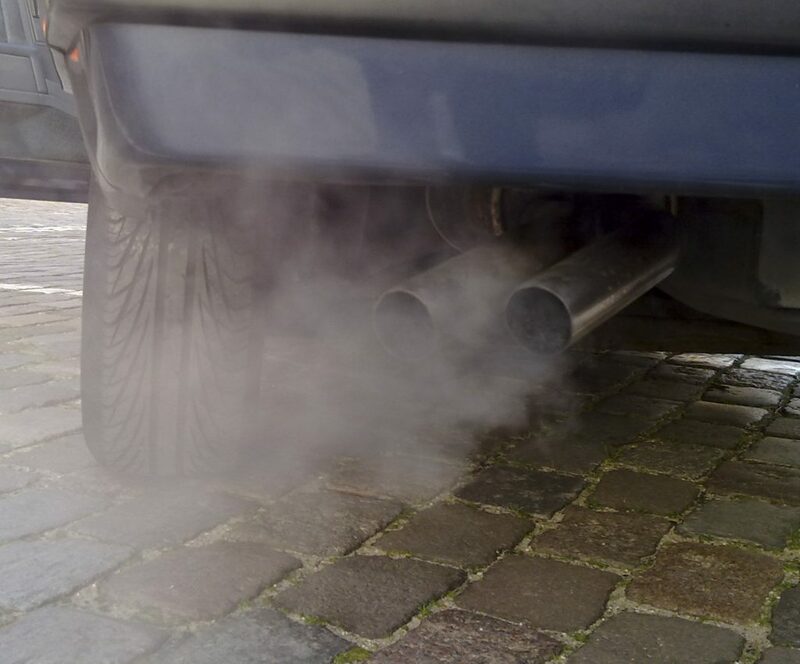 Why is white smoke coming from my exhaust? Bubbles forming in the header tank could be a sign of head gasket failure. 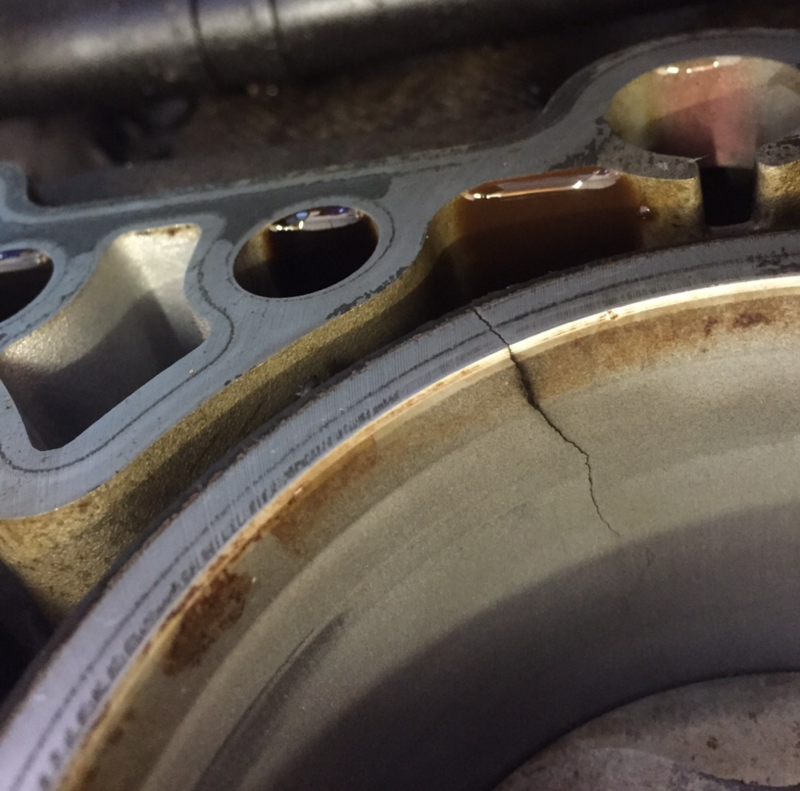 This suggests that combustion or exhaust gases are leaking across the head into the coolant due to a head gasket failure. In extreme cases this may even cause the coolant to overflow. Solution: Add K-Seal ULTIMATE to resolve this issue but be sure to read the full instructions. 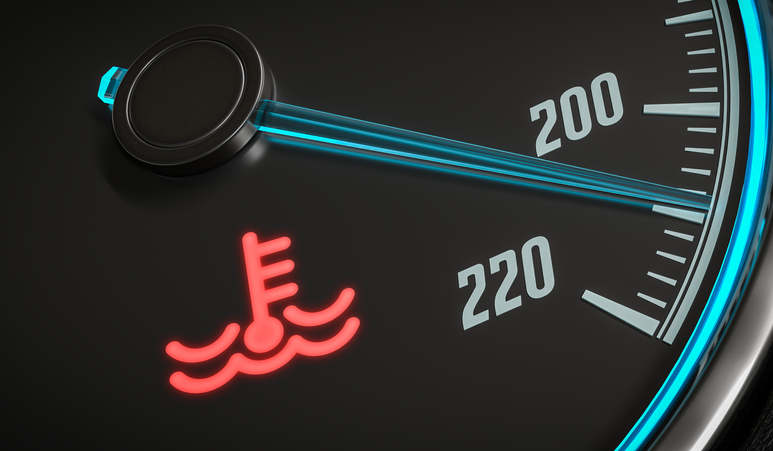 Keep an eye on your dashboard for this warning light – a sure sign your engine is overheating. A coolant leak will lead to the engine overheating because there isn’t anything to cool it down. Solution: Add K-Seal so it can find the leak and plug it. A cracked engine block is the result of constant overheating due to a lack of coolant. If the damage can be repaired, do so and then use K-Seal to plug the leak to prevent it reoccurring. Solution: See our full instructions on how to use K-Seal with its unique ‘Shake, Pour and Go’ application to help stop a car leaking. Got a puddle under your car? You may well have a coolant leak. 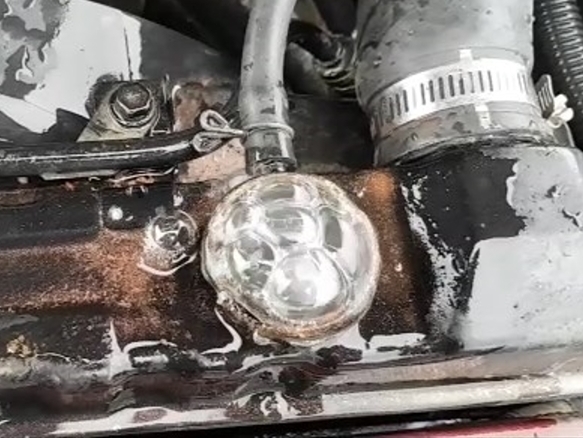 This could be a radiator leak or a split hose causing coolant to leak out of the engine onto the ground underneath. Solution: If it’s a radiator leak then add K-Seal. If it’s a split hose then you’ll need to get the hose replaced or try Kalimex QuikTape. 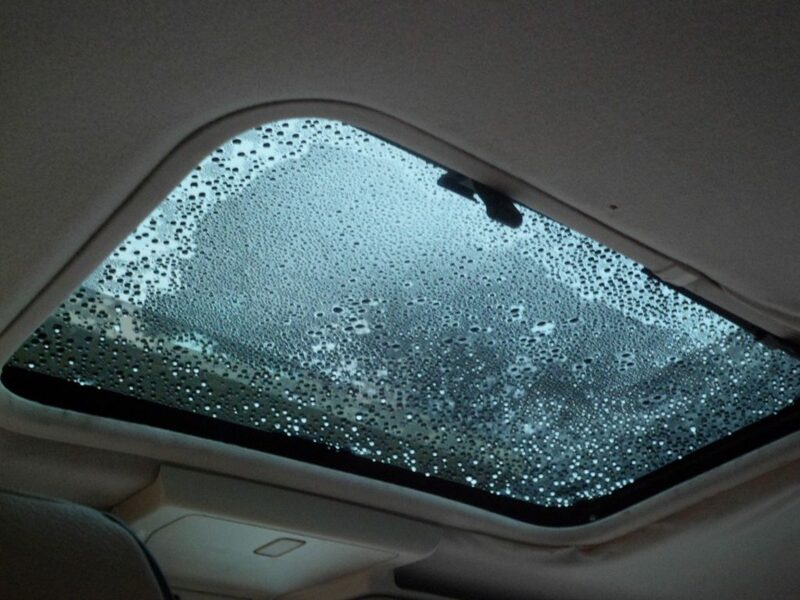 Excessive moisture on the inside of a car sunroof. This is almost certainly a leaking heater core. Solution: Add K-Seal to the cooling system and turn the heat up. This could indicate that the heater core is leaking into the cabin. Solution: Add K-Seal and see if the smell disappears. If not, seek mechanical help. If the water pump is making more noise than usual, this could be a damaged impeller. Solution: The impeller seal can be repaired by K-Seal if it isn’t too big – otherwise it might have to be replaced. Want to get hold of a bottle to fix your car leak? Use our simple ‘where to buy’ service to find your nearest store and get back on the road. Don’t wait until you have expensive repairs to pay for – stop your car leaks, fast.